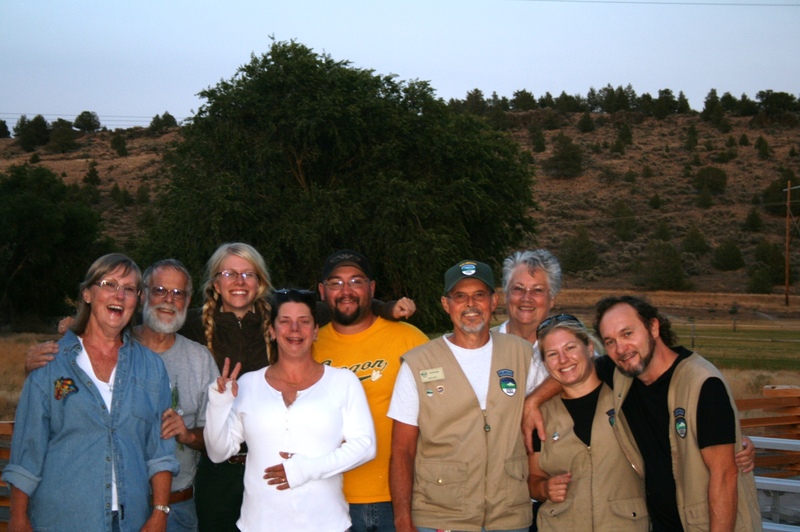 Monthly Meet a Ranger: Ranger Rita! Ranger Rita, sporting her fancy coveralls and on her way to paint restrooms, throws her hat to the breeze on a windy Cove day! It’s a blustery Fall day here at the Cove, and what better time to sit in the sun and get to know a Cove Palisades State Park ranger! 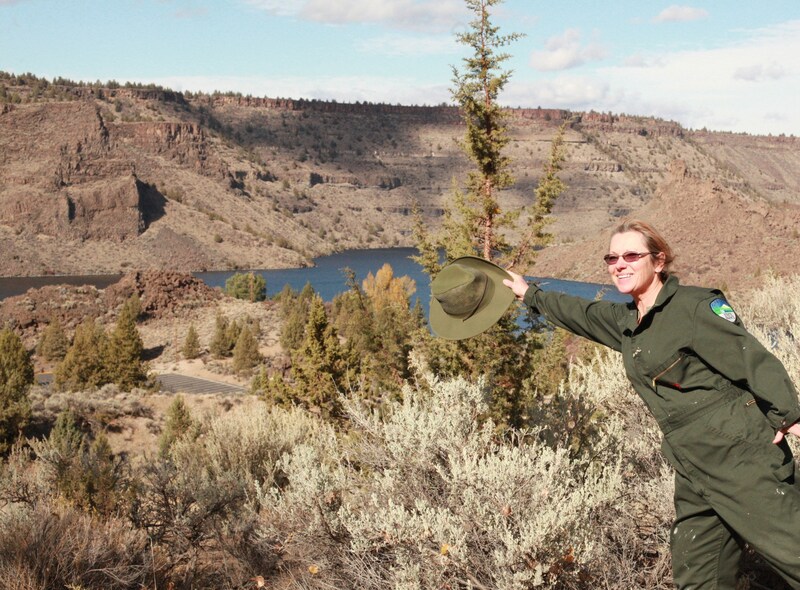 This month, we are kicking off our monthly “Meet a Ranger” post, where you have the opportunity to get to know one of our awesome park rangers, Rita, and read of her stories. 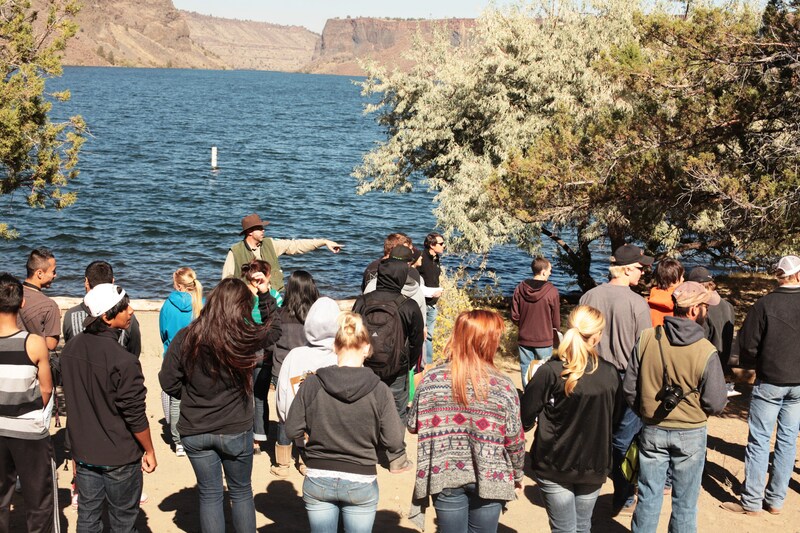 We hope to have a new park ranger in the region featured every month so you can learn about what you have in common with a ranger, and the reasons we love our job and working for Oregon State Parks! Hi Rita! What’s your history with parks? I worked at The Cove in the late 90’s as a Park Aid, and then took a few years off. I returned in 2004 to work the booth and in 2008 I interviewed for the Ranger 1 Seasonal. What was the moment you knew you wanted to be a Park Ranger? I’ve always enjoyed the Great Outdoors, and as an adult I realized the importance of protecting our natural resources. 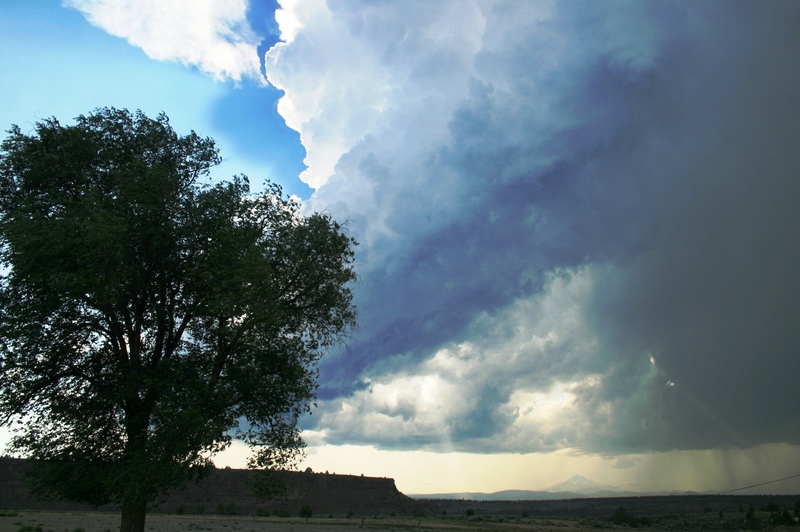 What is your favorite outdoor activity? Snorkeling in Hawaii! And gardening, fishing, hiking, and hunting. Favorite type of food? Seafood. Favorite movie and favorite song at the moment? The movie “Titanic” and the song “All Summer Long” by Kid Rock. Favorite memory at the Cove? Working on the Tam-a-trail in the late 90’s. Every great man and mountain lady will face the challenge sometime in their life of building their own campfire. Whether it be for post-apocalyptic survival or for s’more smores, there will be a moment where all societal expectation will be put to the test and your primitive skills will step-up to the ultimate evaluation. But fear not! The Cove Interp Team is here to assist you, in fact, gift you with life-long skills for building a campfire that is sure to impress your manliest, flannel-wearing, beard sporting, caveman friends. Last summer, park hosts Dave and Heather presented an interactive and in-depth campfire building program that demonstrated the essentials for building a perfect campfire. Country folks, city folks, and in-betweeners alike gathered in the Deschutes Amphitheatre for a lesson on how to properly structure 3 different styles of campfires. 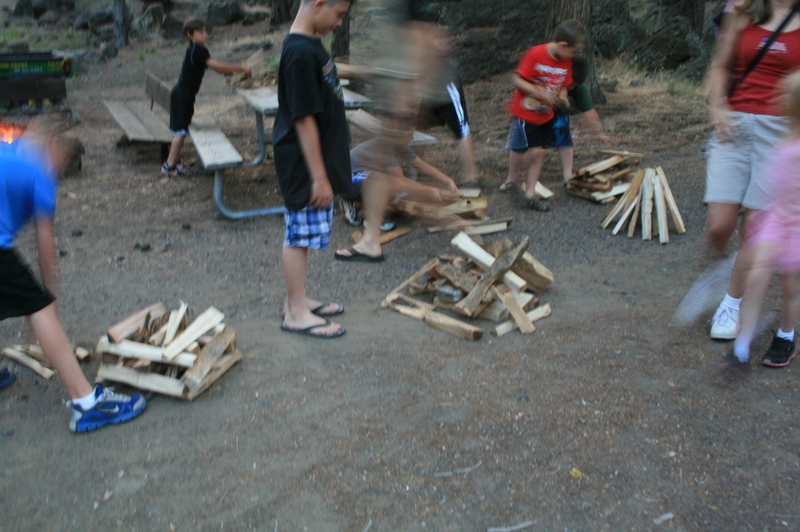 Visitors would test all of the campfires in our huge campfire pit, and decide together which campfire was the sturdiest, effective in terms of warmth and light, and lasted the longest. 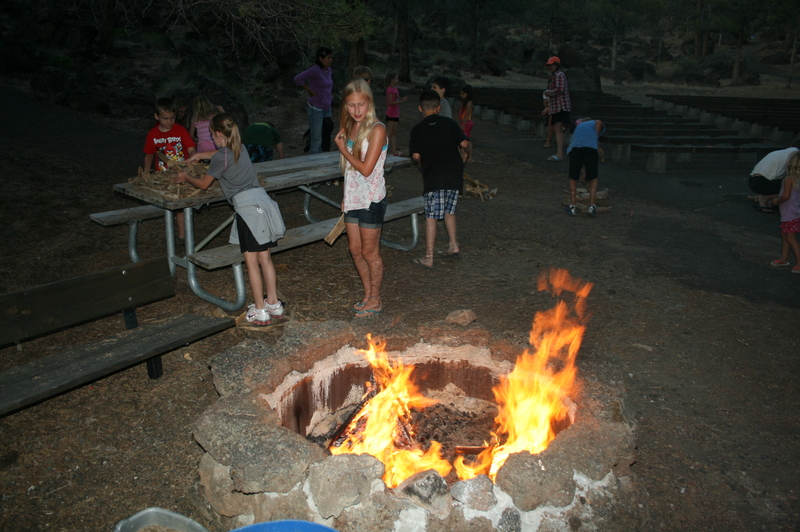 Each visitor also took home valuable skills for how to safely start a fire for survival, and properly evaluating the resource and environment for the appropriateness of starting a campfire. 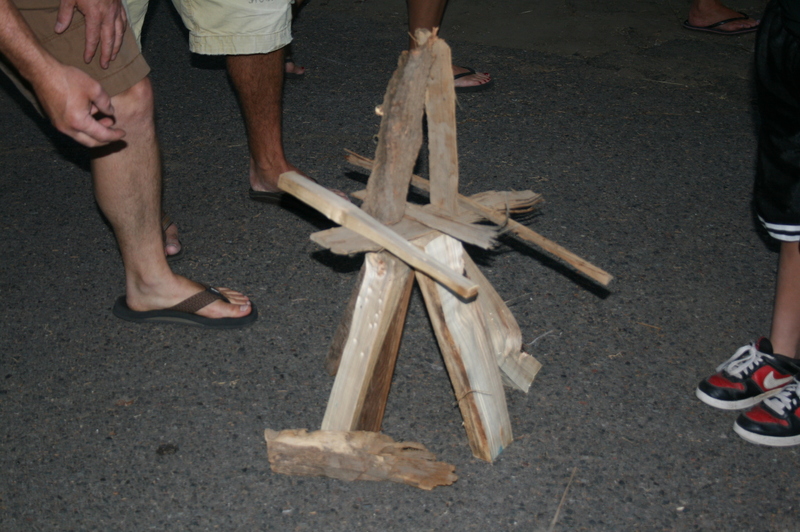 Visitors try their hand at the “Tipi”, “Pyramid”, and “Log Cabin” campfire styles. The program received great response, we even had a firefighter make a showing to learn how to properly start his very own fire while camping at the Cove! We hope you will join us next summer for similar programs that move you closer to being the skilled outdoorsman whom competes with the likes of Bear Grylls and this guy. “Creative” campfire built a Cove camper. We call this one “Jenga”. Two humble Cove camper girls try not to bring too much attention to the excellent log cabin and tipi style campfires they built. Here is more information on campfire starting without using a match. 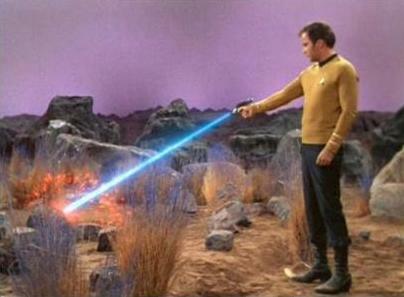 Here is more information on campfire structure techniques. And here is some information on building the coolest campfire out there, the Leave No Trace Campfire! October is here, and it’s time to take a great big “Aaaaaah!” sigh of relief and accomplishment for the completion of the Interp teams 2012 Summer Season. What a fun, FUN summer! 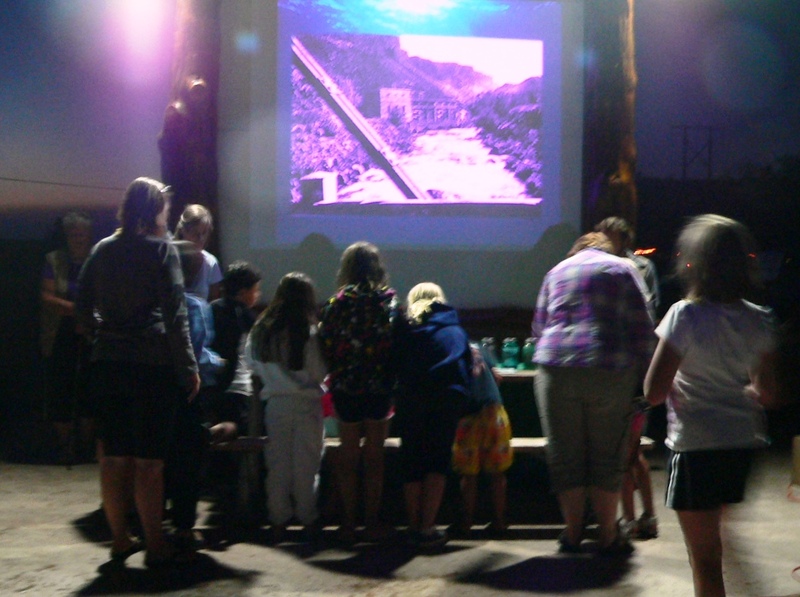 With lots of hard work and laughs we developed many new programs for the Cove to demonstrate history, natural resources, and more and were pleased with our turnout. We are excited to continue to improve all of our programs so next summer they are even more enticing, entertaining, and informational! We took a vote, and the teams favorite program of the summer was “Lurking Past”. The Cove Palisades State Park has a really stellar homesteading history, but history can sometimes be a little dry. So, we tried our best to come up with a way to tell the Cove’s homesteading story but turning it into an interactive presentation, many of the Cove staff with parts to play! The story is told through the voice of “Stella”, the Cove’s mysterious and mythical Sturgeon that lurks in Lake Billy Chinook but no fisherman have been able to catch till this day. Yes, the name “Stella” for our beloved sturgeon was inspired by a Marlon Brando film. Stella swims under boats and docks and listens to fisherman who’s fathers and grandfathers and great-grandfathers have fished here. She has noticed mysterious objects way, deep down at the bottom of the lake and she has often wondered what they are and how they got there. These objects include orchard trees, remenants of many special buildings, and tall landforms that were popular for pioneer picnicking. An important piece of State Park’s history is also hundreds of feet underwater. The audience will unveil the mystery of what these objects are and the crazy turn of events that got them submerged, likely forever. Fred McCallister and his wife (Played by Dave and Heather) try to catch a big fish for supper whilst reminiscing on early days in the Cove. 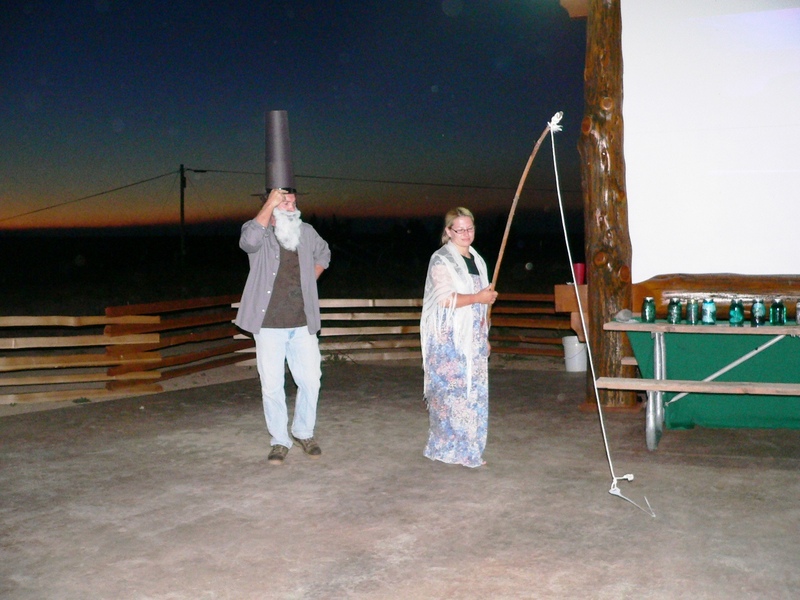 We hope that you will join us next summer for one of our Friday or Saturday evening presentations! 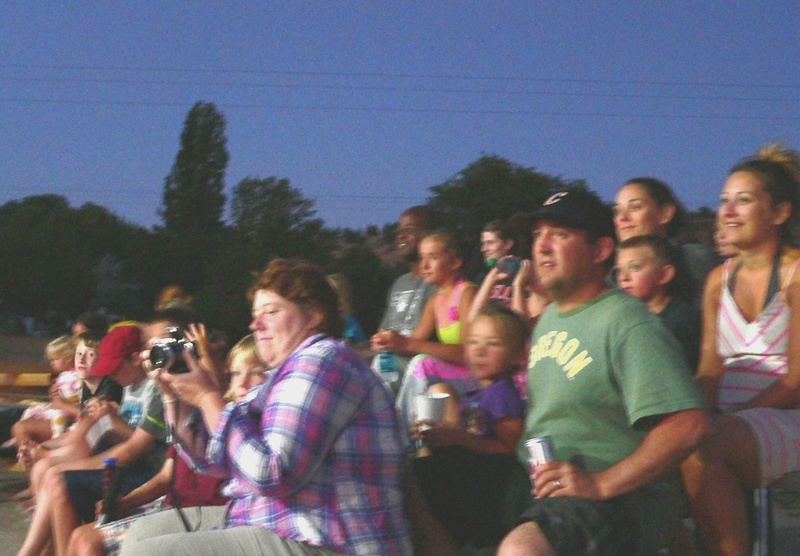 Due to popular demand, we plan on havinng Lurking Past play at both the Deschutes and Crooked River amphitheatres in 2013, so both campgrounds get the opportunity to view the program. See you next year, and bring the whole family! 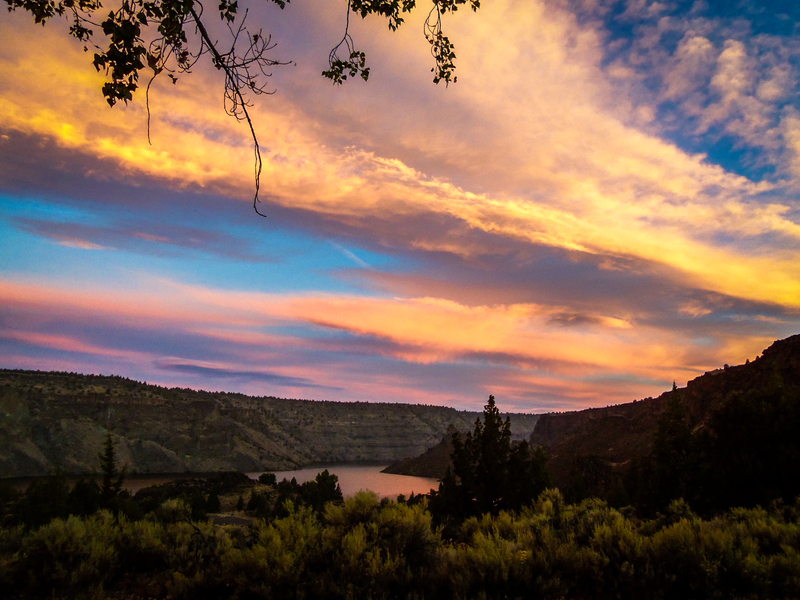 We will have the room with our brand new Crooked River Amphitheatre benches, overlooking the sunset over Lake Billy Chinook and Mt. Jefferson. Audience members at Lurking Past enjoy the new Amphitheatre. Even with the drought, this dry park is growing some green. “Green” energy solutions that is! And this little parcel of the high desert is stoked! We are so excited to be working with the local community to develop our green and renewable energy solutions here in the park. Since our staff is lacking in the “enginerds” deptartment, we sought the help of the brightest individuals in the neighborhood: the sophomores, juniors, and seniors from Culver High School! These students are involved with the STEM (Science, Technology, Engineering, and Mathmatics) Program and have embarked on a journey to learn all they can about the subjects. The students have graciously volunteered their efforts to help us develop some innovative solutions for saving money, renewing energy, and limiting our carbon footprint. So far, the multiple challenges we presented them with were everything from ways to utilize solar or hydroelectric power in our facilities to building a greenhouse and natural mechanisms to deal with shoreline erosion. We are excited to keep you up to date on the ideas that these students have come up with to improve the park and continue to follow their developments as the project(s) continue!